Skeleton Park. 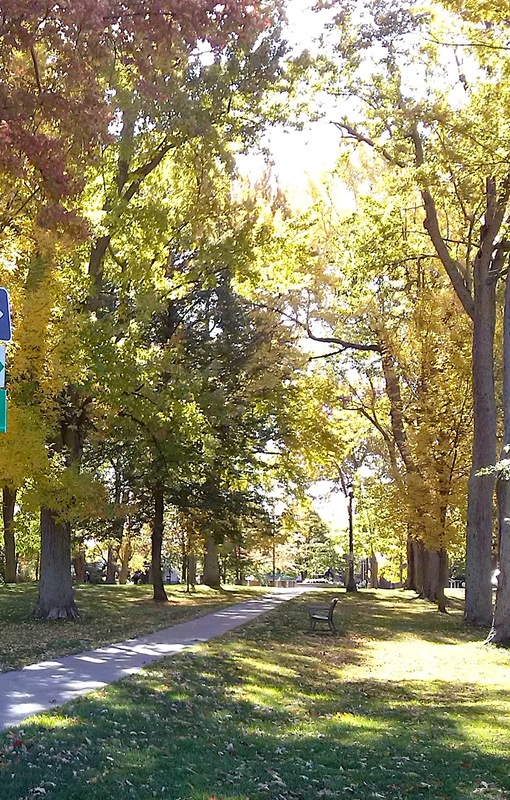 | The McBurney Park Neighbourhood Association Blog. 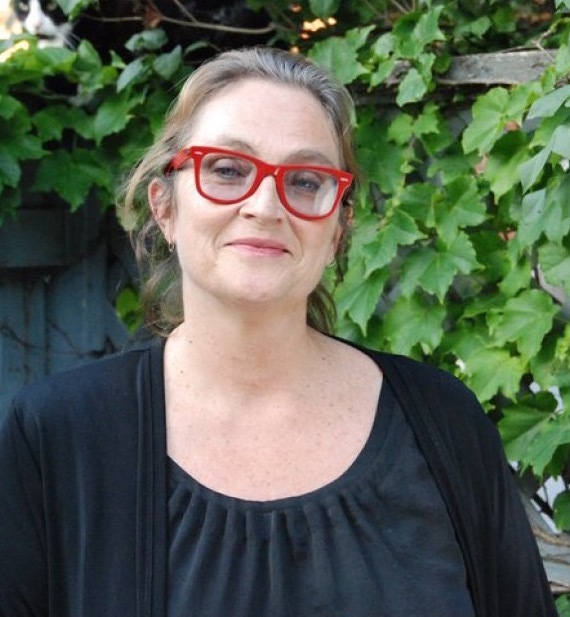 Kingston writer Jamie Swift is a co-founder of the McBurney Park Neighborhood Association. This year’s Kingston election has featured important citizen efforts to encourage public engagement with the issues facing our city. Open Kingston has developed an informative website where you can read candidate views on key issues. And the Coalition of Kingston Communities has managed to organize all-candidate meetings in each district, along with a mayoralty debate at City Hall. (See the CKC website for a list of meetings.) The CKC organizers have recruited a wide range of veteran political observers to moderate their public gatherings. Former Mayor Helen Cooper. Ex Liberal MP Ted Hsu. Former Conservative strategist Sally Barnes. Bill Hutchins of CKWS. And Skeleton Park’s own Jonathan Rose, a veteran election debate moderator on TV Cogeco. Unfortunately the King’s Town debate, held at Central Public School before some 35 people on September 24, was attended by just one candidate. Moreover, Mr. Emmons told King’s Town organizer Pamela Cornell that he would complain about the event to the City’s Elections Clerk to demand an “investigation” while also informing Central School that there would be no debate. This was a self-fulfilling prophecy because Mr. Emmons didn’t show up. There was an empty chair in the school gym and Mr. Emmons’ name on a blue tent card on the table. The session offered local residents the chance to quiz Mr. Hutchison on his priorities and accomplishments at City Hall. Mr. Hutchison said he works for a city “where no one is left behind,” highlighting his work on improving public transportation. The new Montreal Street express bus allows north end and King’s Town residents to get to west end jobs in forty minutes, replacing the previous 1.5 hour trip. The incumbent supported Kingston’s new Active Transportation Master Plan. It’s apparent that Kings Town voters have a choice between rather different approaches to Kingston’s future. Perhaps unbeknownst to some, our neighbourhood has a rich diversity of wildlife that is especially evident during spring and autumn migration. Here are just a few of the birds that I have photographed in our yard or in the park. Click on the thumbnails to view larger versions. A friend of our neighbourhood left us on March 9. A gentle snow was falling as I strolled through Skeleton Park. That’s where Debi Wells often took her daughter Telfer to play beneath the silver maple umbrellas back in the nineties. Local dog walkers knew Debi as the woman with the Labrador. Or one of the succession of cream or butterscotch coloured Labs. I imagine her fellow dog owners, huddled together in the middle of the park in all kinds of weather, would wonder how in the world Debi could be out there with no socks under her Birkenstocks. A child of the sixties, in more ways than one. “Drive by parenting,” said Deb with a straight face. I laughed. Then she did, too. Debi spent some formative years here in Kingston where her father once worked, as she’d insist, as a “boss” at Dupont. Over the years she circled around through Toronto, Montreal and Vancouver. Along the way she gave birth to her daughter Beth before returning here in the late eighties. She’d decided to pick up a trade and began a teaching career. Her lifelong commitment to social justice was only underlined by the savage inequalities she saw reflected in the education system during her years teaching at the hardscrabble Frontenac Public School (now closed) on Cowdy Street in Kingston’s near north end. As a lifelong socialist, Debi wasn’t very big on bosses. 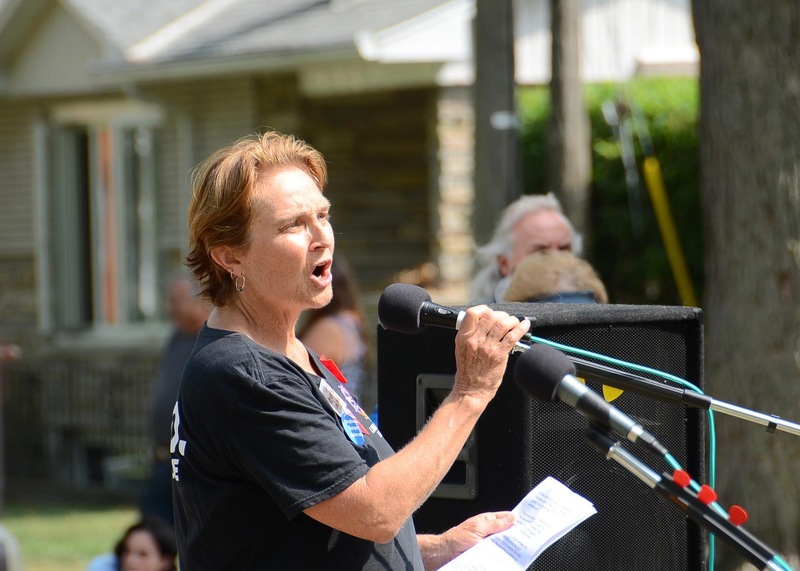 She learned the skills of tough-minded bargaining when elected as vice president of the Limestone Local of the Elementary Teachers Federation of Ontario. She was President when she died, having planned to retire not long after that March snow faded away. Debi was in recent years a great experimenter with foods that I found a bit odd. She got ahold of a contraption that would dry food. She began to make kefir, insisting on the merits of its beneficial bacteria. Then she started to talk up kombucha and started to make up batches of the effervescent concoction. She liked fermenting it. She also felt the need to foment trouble. A hardboiled radical, Debi never hesitated to shake things up. But this woman with the easy laugh and irrepressible smile remained a pragmatic activist. She sat patiently – and sometimes not so patiently — through endless meetings with school board officials as well as local business grandees when she served on the board of the troubled Kingston Economic Development Corporation. There were uncountable evenings spent in our back yard, listening to Debi’s tales of the teachers and children who consumed her working life. She had endless stories – my friend was never at a loss for words – about driving for hours to a remote school where someone needed help. I reached out to one of Debi’s former bosses the day she died. In her final days, Debi decided that she had changed her mind about one thing. I really do hope I can live up to her legacy by joining Debi’s friends in making common cause for the common good. Woooooo! 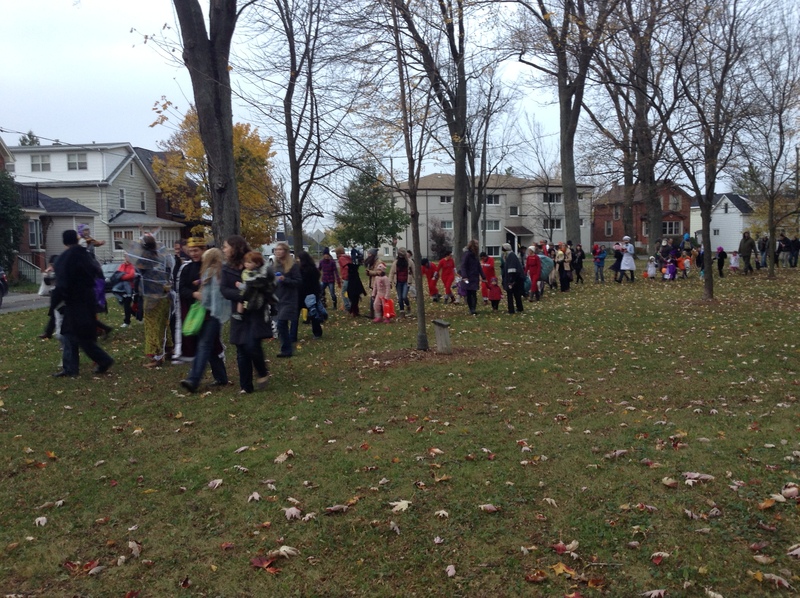 It’s that time of year again for the (almost) legendary Skeleton Park Hallowe’en Parade which will take place in McBurney Park on Saturday, October 31st. All witches, werewolves, goblins and ghouls are invited to congregate in the park at 4:45 p.m. for a 5 p.m. start. Please, if you can, bring a noisemaking instrument to help join the Krewe of Boo in a New Orleans style second line parade around the park. Afterwards, as usual, there will be a photo opportunity session … so bring your camera, costume(s) and spooky singing voice! Twenty Storeys High: Is the Capitol Condo Development Good for Kingston? Kingstonites have good reason to be concerned about a proposal to build a twenty-storey condo tower, “The Capitol,” on the site of the former movie theatre at 223 Princess Street. At a J uly 22 meeting organized by the McBurney Park Neighbourhood Association, In8 Development’s Darryl Firsten presented his company’s plan for the building, which would dwarf the characterful two and three storey retail and service spaces that largely comprise the downtown core. Two councilors, Jim Neill and Jeff McLaren, were in attendance and listening intently to public concerns. Not one member of the public spoke in favour of a structure this high. Instead, speaker after speaker addressed the effect of the tower on the heritage look and feel of downtown and the fear that this project would provide other high-rise-happy developers—especially those with their sights trained on the North Block—a proverbial foot in the door. While Mr. Firsten attempted to address heritage concerns by claiming that the height of the building would be unnoticed by people in its immediate vicinity, he refused to acknowledge that such concerns extend beyond Princess Street to the fact that the tower would dominate the skyline of Kingston and change its look and feel forever. He also did nothing to allay fears that should the city grant a bylaw exemption for a 20-storey building, there would be significant pressure from other developers to have the same (or greater) exception applied to them. Through letters to the planning committee and at a previous public meeting, concerned citizens have outlined numerous additional problems that are likely to arise from this development: High rise corridors of luxury condos tend to lead to higher rents for small businesses which are subsequently replaced with chain stores, banks, and other service-sector tenants who cater primarily to the corporate classes. Such a transformation is already underway along Princess Street and the building of the Capitol would only intensify this trend. If there are to be a mix of people living downtown, the need to build affordable housing with low access points is crucial. There are also practical concerns about the creation of wind tunnels and shade, car traffic congestion, the volume of garbage and recycling that would be generated in an area where this is already a problem, the ability of surrounding retail businesses to survive during the build, and the upshot of all of these effects for the city’s tourism industry. Critics of the project are keen to note their support for downtown densification and at least some are willing to support a 10-storey building in this space. Unsurprisingly, the developer seems interested in hearing only specific and small-scale suggestions about the aesthetics and design of the building. They clearly plan to push for 20 storeys and it remains unclear what they are willing to settle for should City Council reject the proposal or seek a compromise. Mr Firsten did not answer a question about the point at which his company would walk away from the project should they be required to lower their ambitions, but he was frustratingly adamant that there was no way to build an attractive 10-storey building in that space. 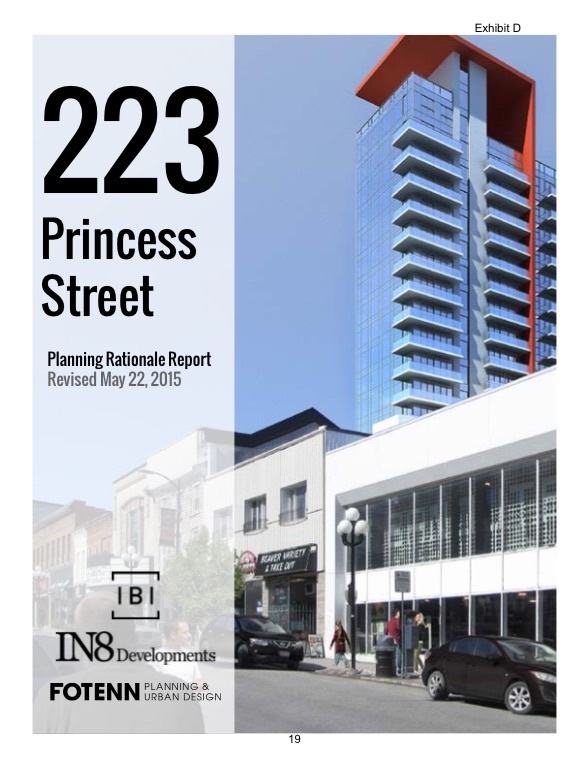 The public is rightly skeptical of Firsten’s repeated claim that the only architectural possibility for a shorter building at 223 Princess is an “ugly blob.” The available plot is admittedly complex in its layout, but there are other examples of attractive downtown densification projects within blocks of the proposed site. Anna Lane, the new condo building at Queen and Bagot, was a frequent point of comparison, although it sits at the base of the hill and thus folds more organically into the low-rise streetscape of downtown than would a 20-storey building at its top. I left the meeting with Mr Firsten with a longer list of concerns about the project than I had going in and the feeling that leaving the space empty would be better than building 20 storeys. I also have some hope that with enough pushback, a compromise solution sensitive to the human scale, the heritage feel of the city, and to a diversity of social and economic interests might prevail. Darryl Firsten, downtown Kingston, Empire Capitol 7, IN8 development, intensification, Princess St.